LITTLE ROCK, Ark. — A federal judge appointed by then-President George H.W. Bush has declared unconstitutional an Arkansas law that banned abortions after 12 weeks if a heartbeat is detected. 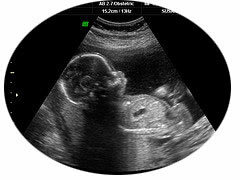 U.S. District Judge Susan Webber Wright wrote in her opinion on Friday that the standard for abortion restrictions according to Roe v. Wade is whether the child is viable—meaning that he or she can survive outside of the womb—rather than whether the baby has a heartbeat. As previously reported, just days after passing a late-term abortion ban, legislators in Arkansas voted in March of last year to make the Human Heartbeat Protection Act law, overriding the veto of Democratic Governor Mike Beebe. The Act required that women obtain an ultrasound prior to having an abortion, and if a heartbeat is detected past twelve weeks, the abortion may not proceed. Abortionists who violate the law would have their license revoked. However, the ACLU of Arkansas soon threatened to file a lawsuit, and in April, it followed through with the threat. It sued the state medical board, asking the court to act quickly to prevent “irreparable harm” to abortionists and abortion-minded mothers. Wright granted a preliminary injunction to the ACLU the following month, agreeing with its assertions. On Friday, Wright issued her final opinion in the matter, declaring the law to be unconstitutional. However, she left in place the requirement that abortionists check for a heartbeat prior to an abortion and notify the mother if it is present. Aaron Sadler, spokesman for Attorney General Dustin McDaniel, said that the state is considering its next move.